About Us - Princeton Orthopaedic Associates, P.A. Princeton Orthopaedic Associates, P.A., II was formed in March of 1992, the result of the merger of two successful orthopaedic practices in Princeton, NJ: Orthopaedic Associates of Princeton, P.A., founded in 1974; and Princeton Orthopaedic Group, founded in the mid-1960s. In 1987, we opened our state-of-the-art flagship office located at 325 Princeton Avenue. Our offices are fully equipped with digital x-ray, physical therapy (including aquatherapy), and MRI to fully diagnose and treat the entire spectrum of musculoskeletal disorders. We have implemented the most up-to-date electronic medical record system to further improve our ability to meet the needs of our patients. All of our offices are fully integrated, allowing us to share all digital imaging and electronic medical records. We have 17 orthopaedic surgeons, who offer fellowship training in nearly all subspecialties of orthopaedics. We cover the Princeton Medical Center at Plainsboro Hospital, Robert Wood Johnson-Hamilton and the hospitals of the Capital Health System. Please request one of our physicians in the emergency department. In addition to our orthopaedists, we also have five physiatrists (physical medicine physicians) that provide additional musculoskeletal treatment options including, but not limited to, cervical and lumbar injections, trigger-point injections, acupuncture, and EMG/NCV (nerve conduction) testing. Three podiatrists also provide comprehensive foot and ankle care for our patients. Our 26 physicians, along with our 14 physician assistants (PAs), nurse practitioner, 19 physical and occupational therapists and 5 physical therapy assistants, make us one of the largest orthopaedic groups in the state. 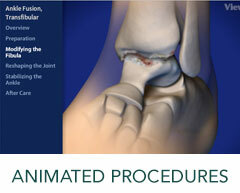 We will be able to treat all of your orthopaedic needs.